Shipyards across China recorded a 72.6% decrease in new ship orders in the first six months of 2015, compared to the same period the year before, the country's Ministry of Industry and Information Technology (MIIT) said. 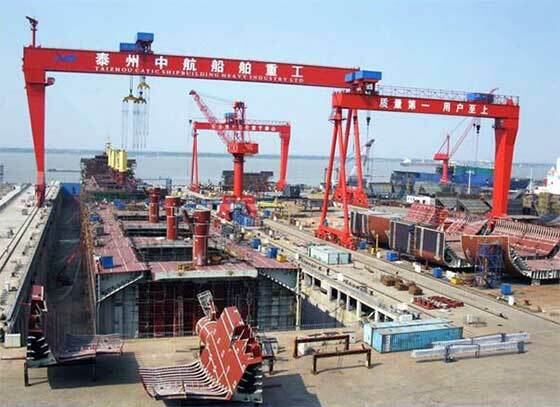 Chinese shipyards added 11.9 million deadweight tons to their orderbooks from January to June 2015. Orders for sea-going vessels for the period totaled 4.13 million compound gross tonnage (CGT), a 66.5% dip year-on-year. A total orderbook at the Chinese shipyards currently stands at 138.07 million dwt, a 9.2% slide y-o-y. The orderbook for sea-going vessels is at 43.3 million CGT, and 95% of the sea-going vessels is intended for export.